Monocle 24: Does wealth make us rich anymore? The UNLIMITED* project aims to challenge received wisdom regarding the nature of wealth and to question conventional notions of luxury, ownership and legacy. As a magazine that exists predominantly in print during a supposedly digital age, being counter-intuitive and reassessing prevailing opinions is part of Monocle’s DNA. UNLIMITED* is therefore the perfect forum for all of us and UBS to explore new ways of understanding global trends and to redefine the debate surrounding the place of wealth in a changing world. When does making a difference mean more than money? The younger generations have a unique perspective on what constitutes quality of life and what kind of impact they want their careers to have. Here we sit down with four entrepreneurs who have decided not to pursue personal wealth but have instead opted to start businesses and charities that bring happiness to themselves and others. This is the final instalment of Monocle 24's series of podcasts for Unlimited, a forum powered by UBS. Why does provenance matter? We meet entrepreneurs from the US, Serbia, Russia, Brazil and beyond to assess the importance of storytelling in buoying brands and the value of understanding the origins of the products we surround ourselves with. 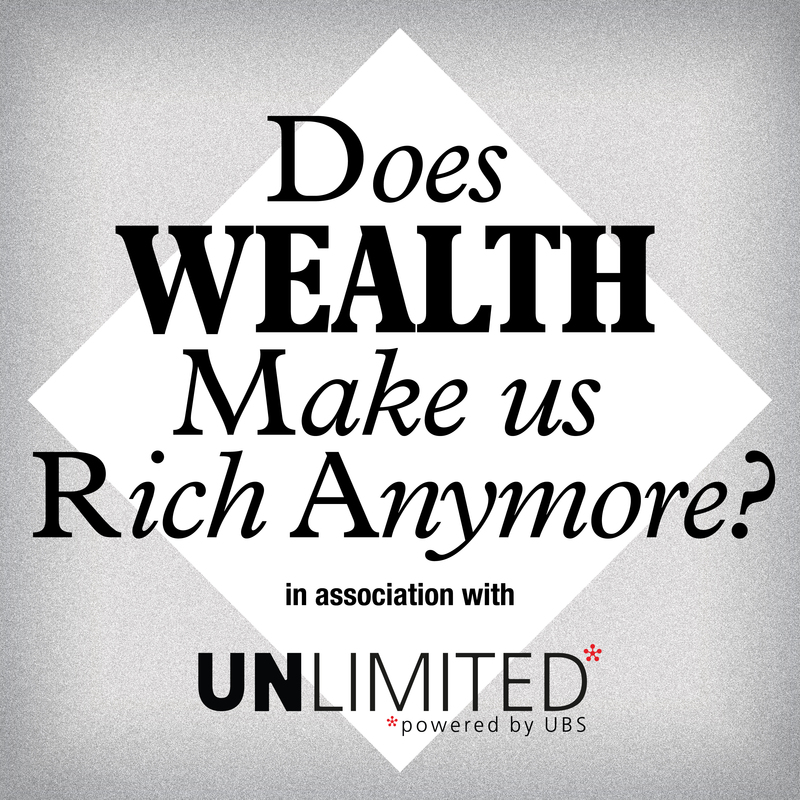 This is the second episode in Monocle 24’s series of podcasts for Unlimited – a new forum powered by UBS – which challenges notions of wealth, ownership, luxury and legacy. Popular perceptions of the word “luxury” are evolving. The aspects of a product or an experience that we deem valuable are undergoing a seismic shift. But don’t take our word for it. In the first of a series of new podcasts, created by the team at Monocle 24 for Unlimited, we scoured the globe and sat down with five innovative and inspiring entrepreneurs who are redefining what makes a luxury a luxury. From Brazilian tailoring to British tea, these business owners have re-imagined what makes a product unique, what goes into a special experience and what luxury means today.